A servomechanism, or servo for short, is a type of automatic control system that uses feedback for precise positioning or speed control of a motor. 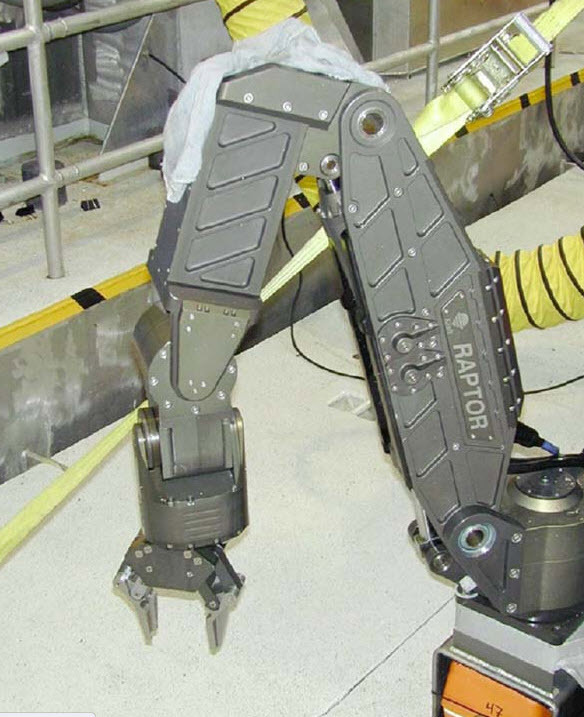 Servos and their drives are found in many industrial applications including robotics and machine speed control. The alternating current, or AC, servo drive is a computer-aided, closed-loop control system designed to provide accurate and repeatable torque, velocity, or position control. The AC servo motor’s small diameter provides low inertia for fast starts, stops, and reversals. A servo drive system is used in motor control where specific motor speed and torque are needed to control specific load conditions. Conditions are preset parameters manually loaded into a programmable position controller (PPC). A feedback signal is produced by an external monitoring device for load conditions. The feedback signal is compared to the preset values, and the PPC signals the pulse width modulator generator (PWG), making necessary corrections and adjusting voltage so the servo motor will compensate and match preset values. AC to DC Converter - The converter takes the AC line voltage and converts it into high and low DC voltage. DC high voltage is placed on the DC bus and used as motor power. DC low voltage is passed to the PPC and used for control voltage. DC to AC Inverter - The inverter takes the DC power from the DC bus and inverts it back to AC using pulse width modulation, which controls the voltage and frequency to the servo motor. AC motors are used because AC motors permit higher speeds and better control. Feedback Device - A feedback device, usually an optical device, monitors motor position or speed and relays that information as a feedback or health signal to the PPC. Power Supply - AC line voltage or supply voltage generally ranges from 110 V AC to 480 V AC. PPC - The PPC receives manually applied preset load parameters from the interface controller and compares the preset parameters to the input signal or feedback signal from the feedback device. It sends a correction impulse to the AC power inverter that corrects motor position to match the preset parameters. Servo Motor - The servo motor is a load control device that constantly corrects a load speed or position to the predetermined parameter. Motion of the servo motor is commanded through the output from the servo controller that has a variable AC voltage with controlled phase, amplitude, and frequency. The output, which is proportional to the analog command from the PPC, regulates the speed and/or current of a permanent magnet AC servo motor. Typically, servo motors are constant-speed devices, although their speeds can be varied within limits by varying the amplitude of the voltage to one of the motor’s stator windings. 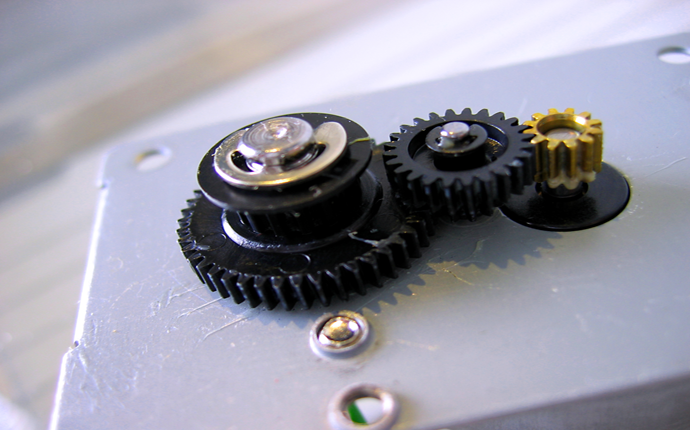 The output of the servo controller is connected to one of the motor windings, called the controlled winding. The other winding, the uncontrolled winding, is connected across the AC source from the inverter in series with a capacitor. The capacitor provides the required 90-degree phase shift necessary to cause motor rotation. The phase relationship of the current through the two windings determines the direction of rotation of the servo motor. 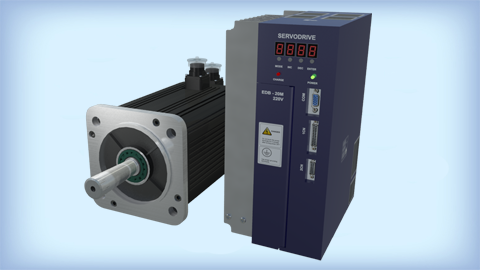 Servo drive systems provide the main advantage of including motor feedback for accurate control of a process, leading to more efficient production. For more information on this subject, as well as any other industrial subject under the sun, please visit our comprehensive wiki page, covering everything from AC motors to voltage regulators. For more information on Servo Drives please visit our Industrial Wiki.